I would love it if you brought your own cake container with you when ordering and collecting a cake. I am also more that happy to lend you one of my containers which you can later return. If you would like the cake to come in a paper cake box, please add an extra $3.50 to the cost of the cake and specify when ordering. 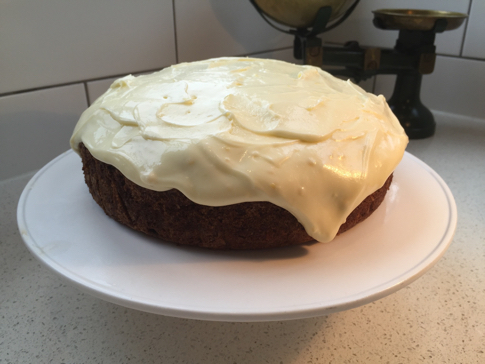 ​This is a fantastic Carrot Cake with luscious cream cheese icing. 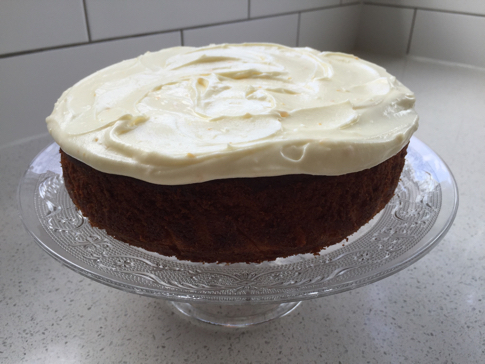 I have had many comments from clients that say this is the best Carrot Cake they have tasted! It is ideal for a work function, special occasion or a family treat. The flavours improve after a day or two, but it seldom lasts that long! ​Main ingredients: Grapeseed oil, sugar, eggs, wholemeal flour, plain flour, spices, carrots, sultanas, walnuts, cream cheese, butter, lemon, icing sugar. This is a delicious cake with great texture and a substantial amount of fruit. The crumble topping is made up of almond meal, oats, flaked almonds and spices. This is all on top of a buttery cake batter. It could easily be served as a dessert with cream or custard. It is a large cake and it would definitely feed a crowd. The crumble topping will loose its crunch after a day or two. 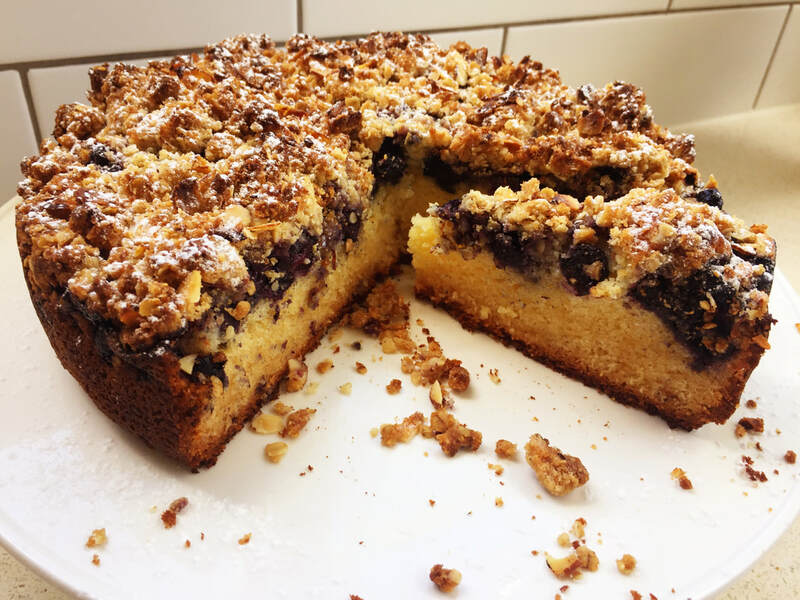 Main ingredients: Flour, butter, sugar, eggs, yoghurt, vanilla, baking powder, baking soda, blueberries, almond meal, flaked almonds, brown sugar and mixed spice. This is the ultimate lemon cake with lemon cream cheese frosting. All who have tried this cake, rave about how absolutely divine it is. It keeps really well, and the flavours enhance over time. If you are a lemon lover, then this is definitely the cake for you! This cake can be frozen. ​Main ingredients: Lemons, eggs, sugar, grapeseed oil, natural yoghurt, flour, cream cheese, butter and icing sugar. 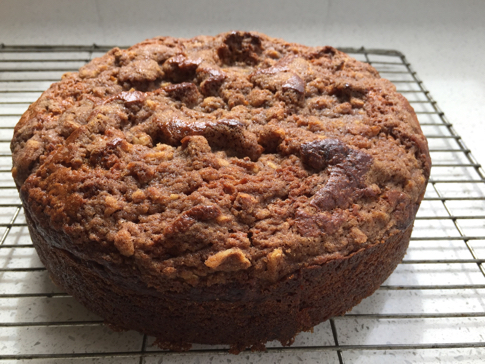 This is a twist on the well loved classic Banana Cake. It is sustaining as it has yoghurt and banana in it. The crunchy topping adds texture and flavour as well as reducing calories by not having icing. The crunchy topping is made up of a mixture of walnuts, brown sugar and spices. Main ingredients: Flour, sugar, yoghurt, milk, butter, egg, cinnamon, brown sugar, walnuts. 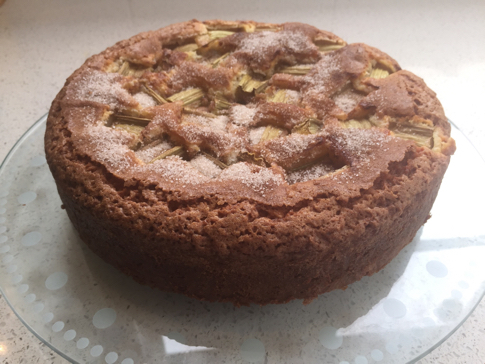 Although this cake has rhubarb, I am surprised by how much my kids enjoy it. Filled with the goodness of the rhubarb, coconut and yoghurt, this is an ideal cake for afternoon tea for the family. It has a slight crunch on top with the dusting of cinnamon and sugar. Main ingredients: Canola oil, yoghurt, eggs, sugar, flour, coconut, rhubarb andcinnamon. 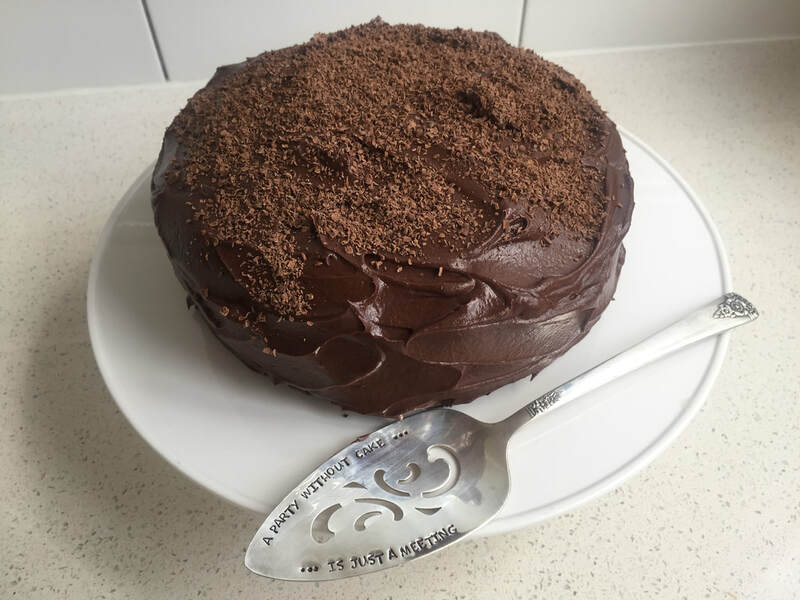 This is the best chocolate cake recipe I have come across. Once I had found this recipe, I stopped looking for anything better. 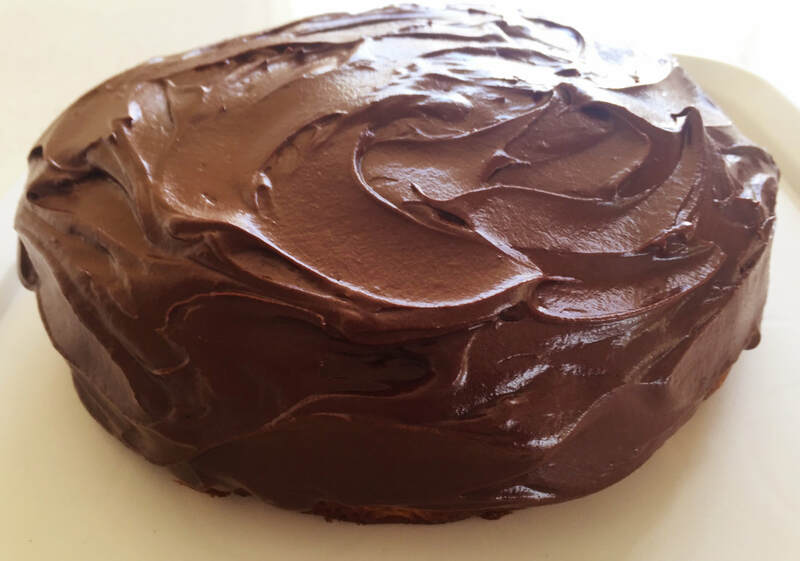 It’s moist and chocolatey and keeps so incredibly well. Every so often I make one for kids to have in their lunch boxes, it’s also ideal as a treat. This cake freezes well, too. It has Whittaker's dark chocolate grated on top. Main ingredients: Flour, sugar, cocoa, milk, butter, eggs, vanilla, icing sugar. This cake is a great finish to a meal. 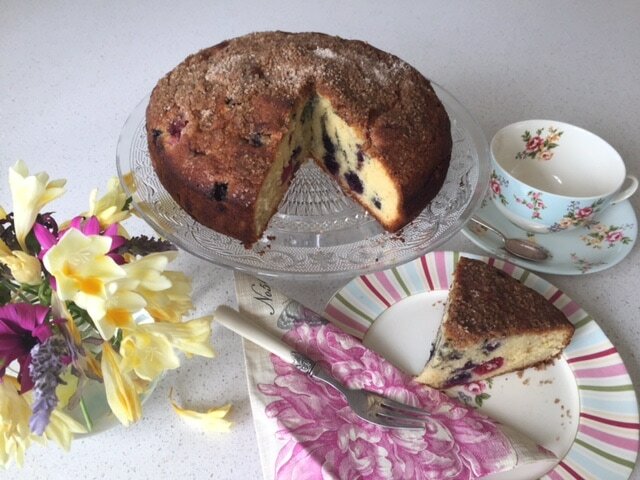 It looks very pretty with its red and blue berries in amongst the cake. It has a slightly crunchy top and is lovely served with whipped cream. Main ingredients: Butter, sugar, lemon rind, eggs, flour, raspberries, blueberries, milk, cinnamon and poppy seeds. This cake is the traditional Kiwi Classic that everyone seems to love. This is my husbands favourite cake and the only birthday cake he wishes for every year.